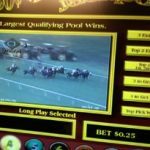 BOYNTON BEACH, Fla., March, 2017 /PRNewswire/ — Exacta Systems and Kentucky Downs once again shattered the single month historic horse racing handle record in February, with wagering in the 28-day month totaling $51.8 million. The previous record of $47.2 million was only one month old, having been set in January. 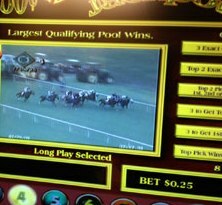 This marks the third straight month that a new HHR (Historic Horse Racing) wagering record has been set at Kentucky Downs. 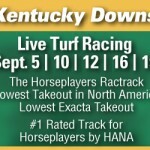 In addition to the record set at Kentucky Downs, Exacta set a one-month record by handling over $75 million in HHR wagers at its installations in Kentucky and Wyoming, up from its previous record of $68.6 million set last month. Stumbled badly at the start and Manny Franco recovered nicely and was roused to make a solid bid for 2nd money. Joel Rosario saved ground for most of the race and tipped off the rail at the top of the lane. Six wide into the lane producing a late lick down the lane for the Chad Brown barn. Tracked under the guidance of Manny Franco and loomed boldly around the far turn. He turned in a top effort for the Ian Wilkes barn his rally was enough to show promise for his next outing. Stumbled badly at the start, and recovered to uncork a rally showing promise for the next effort. Florent Geroux’s mount was a first time starter who was off slowly and put in a bid to come up short down the lane. She’ll only get better off of this race and good things are just around the corner. 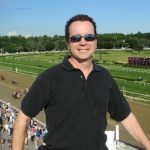 Joe Rocco’s mount came away from the gate in an awkward fashion and made a striking move at the 5/16th’s pole to finish a solid 4th place effort. Brian Hernandez in the irons and he settled his mount to track nicely. Upon giving his cue for more run he was blocked badly and had to settle for 3rd money. Kentucky’s all-turf track opens in a few days, Saturday, Sept. 5th. 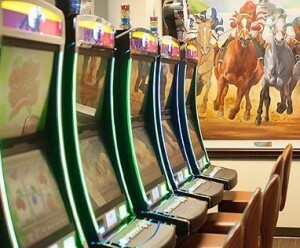 Average daily purses and KTDF bonuses will be over $1,500,000. 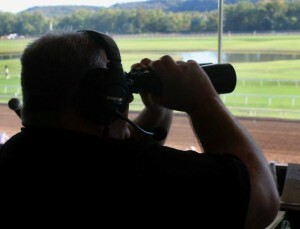 There will be twelve stakes races over the 5-day meet highlighted by the $600,000 (Gr. 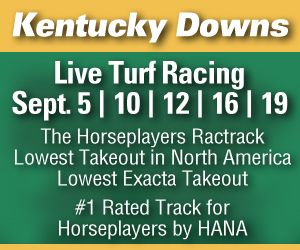 3) Kentucky Turf Cup on Saturday, September 12.